In 2012, Yonkers resident Janet Roma, then 52, found out her kidneys were damaged due to complications from long-standing diabetes. It was only a matter of time before her kidneys would fail completely. Roma had two options: go on dialysis (an artificial blood-cleaning process) or receive a healthy kidney from a donor. Little did she know, her journey to a new kidney would traverse three states and involve six people, mostly strangers, all of whom were involved with the United Network for Organ Sharing. More than 29 million people in the United States have diabetes, the most common cause of kidney failure. Our kidneys keep our bodies balanced; they remove waste products and extra water, help manufacture red blood cells, and help to control blood pressure. Kidney failure means that 85 to 90 percent of your kidney function is gone and your kidneys cannot work well enough to keep you alive. Each year, between 14,000 and 15,000 people have a kidney transplant, with more than 100,000 waiting. While dialysis can effectively manage irreversible kidney failure, it’s far from perfect. 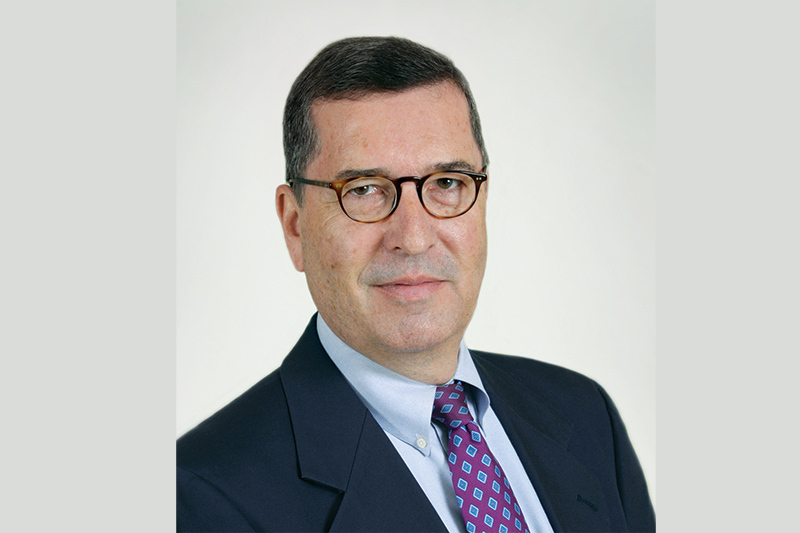 “For anyone on dialysis, the sooner the transplant the better,” says Roma’s physician, Thomas Diflo, Director of Renal Transplantation at Westchester Medical Center. “Long-term survival is much improved with a new kidney. For an insulin-dependent diabetic on dialysis, the five-year survival rate is 20 percent; with a kidney transplant it’s 80 percent.” Moreover, for many people, a kidney transplant affords them a better quality of life than dialysis, according to the National Kidney Foundation, since it may mean greater freedom, more energy and a less strict diet. 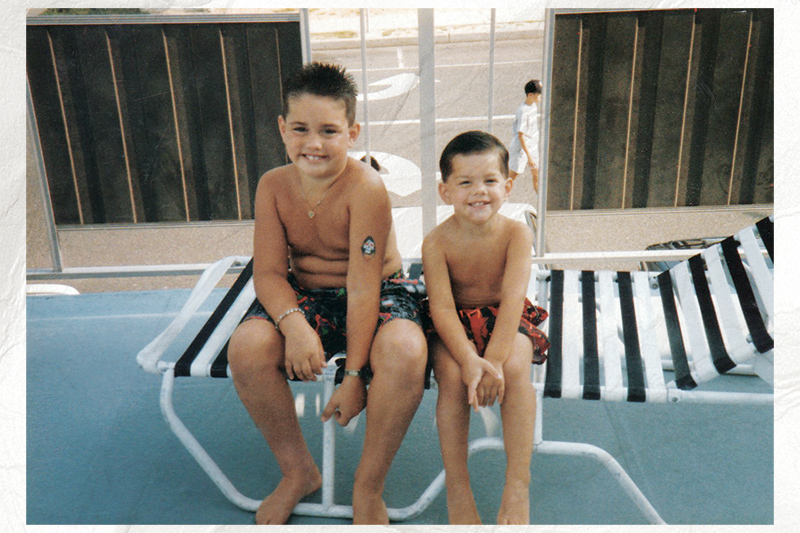 Steven Roma (right) as a child, with his older brother, Michael. Roma’s decision to undergo a kidney transplant was easy. “I’d had so many surgeries through the years, that another one was not a big deal,” she says. Donated kidneys come from two sources—either from recently deceased donors, or from living donors, who might be immediate or extended family, or even unrelated individuals. But matches cannot always be found immediately, and the wait can oftentimes take several years. Fortunately, Roma did not have to search too far to find her new kidney: Her son, Steven, then 24, offered his. The decision to donate his kidney to his mom was a “no-brainer,” says the banker. “My dad passed away right before I graduated high school, and I didn’t want to lose my only living parent,” he says. Even better, tests determined that his kidney was a compatible match. “Steven was healthy, and really wanted to help his mom,” says his physician, Michael Grasso, MD, Director of the Living Donor Surgery Program at Westchester Medical Center. That might be where the story ends, but it’s not. The road to Roma’s transplant proved to be much more difficult than anyone could anticipate. The procedure had to be postponed because of a series of health setbacks related to her diabetes, which required multiple hospital stays. Finally, in 2014, all systems were go. Roma was deemed healthy enough for the transplant. But now her son’s kidney was no longer a viable match. When another crossmatch was performed—compatibility tests continually need to be updated—it was found that she had developed antibodies and would end up rejecting the very kidney intended to save her. “If I got Steven’s kidney, I was told I’d lose it within six months,” she explains. Roma was running out of time and was determined to find a solution. A meeting was promptly scheduled with the hospital’s transplant team to review her options. “That’s when I learned about something called a paired exchange program,” she says. When donor-recipient couples do not match each other, they can participate in a “swap” with other couples, so that each recipient can receive a kidney with a compatible blood type. The pairs are able to donate to each other’s partners; this way, several transplants can take place at once, each with matching donors. Days after all of Roma’s medical information was entered into the United Network for Organ Sharing (UNOS), an appropriate match was identified. “We never expected it to be so fast,” she says. At three different hospitals around the country, all the donors were fully evaluated; then their records and blood samples were sent to the other recipient centers to make sure all the pairs were compatible. A Florida donor’s kidney would be removed, preserved and packed in ice, then flown on a commercial jet to a waiting recipient in a Connecticut hospital. In turn, the Connecticut donor’s kidney would undergo the same procedure and be driven to Roma at Westchester Medical Center. And finally, Steven’s kidney would be removed and whisked off by air to a waiting recipient in Florida. Contingency plans must be put in place, said Ginny Miele, the hospital’s renal transplant coordinator, who worked closely with the team to orchestrate this delicate balancing act. “The logistics and coordination are complicated,” she says. All six people have to stay healthy. If someone has a fever the day of surgery, it’s called off—for everyone. If one person changes their mind at the last minute, none of the transplants can be performed. There has to be a back-up recipient in case the waiting recipient can’t get the kidney. “The last thing we want is for a good kidney to go to waste,” Miele says. On the morning of July 23, 2014, two years after Steven Roma elected to give his mother his kidney, all six donor-recipients arrived at their respective hospitals at 4:30 am, ready to share the gift of life with one another and prepare for their journey of giving and receiving. The donor’s surgeries were performed first, with an open line of communication established in all the operating rooms in each hospital, so that the teams could stay apprised of the progress or any potential problems. By late in the day, with all six surgeries successfully accomplished, all six patients were recuperating and beginning their healing process. Not only did visits from her family help to lift Roma’s spirits, but so did her medical team. After a five-day hospital stay, Roma and her son returned home, where they would recuperate together. A few weeks later, Steven went back to work in nearby Mamaroneck. Roma, now freed from dialysis, continues to build up her strength and monitor her health with regular visits to her doctor. 1. Keep blood pressure and cholesterol within normal ranges. 2.If you have diabetes, keep your blood glucose levels under control. 3. Limit alcohol intake, and don’t smoke. 4. Lose weight if you’re overweight. 5. Cut back on salt. For more information about organ transplants, contact Westchester Medical Center at www.westchestermedicalcenter.com/transplant.